Over the weekend, I took some friends over the Mississippi river to visit the Whitney Plantation. That is the only plantation that focuses on the stories of the enslaved and it is a moving and powerful experience that I highly recommend. 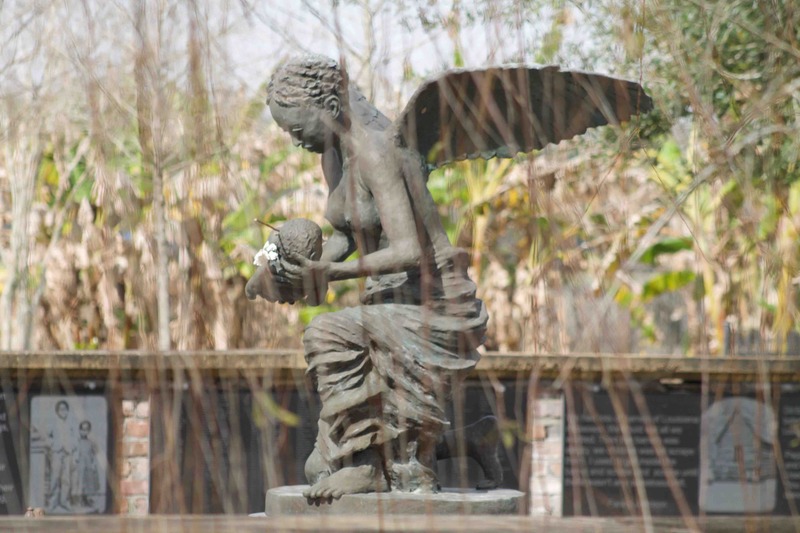 A black angel carrying a baby to Heaven is built in the Field of Angels, a section of the slave memorial dedicated to the 2,200 Louisiana slave children who died before their third birth date as documented in the Sacramental Records of the Archdiocese of New Orleans. We were overwhelmed and hungry when we finished and knew we couldn’t make it all the back to New Orleans without refueling. One of the workers in the gift shop told us about the Westside 66 Grocery about 5 miles away. 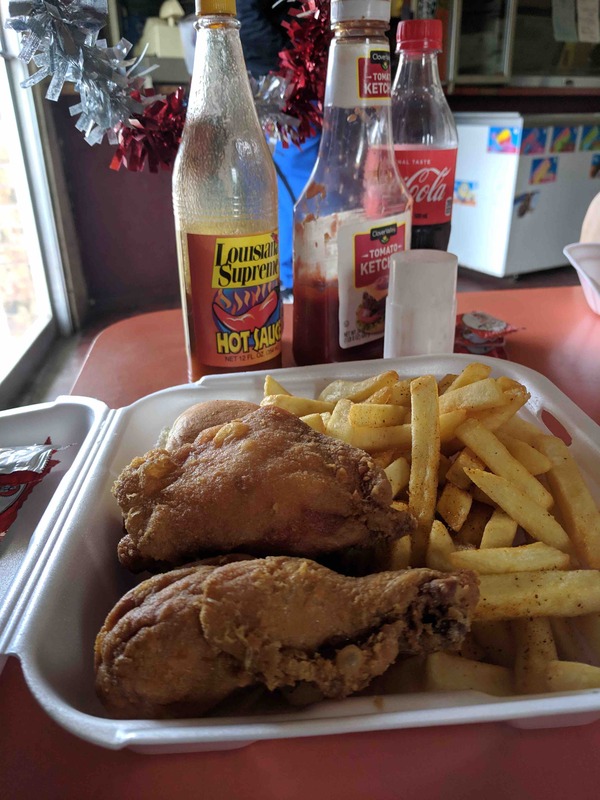 This is a very unassuming place – just a few tables but it smelled really good and had options for po-boys, catfish and fried chicken. 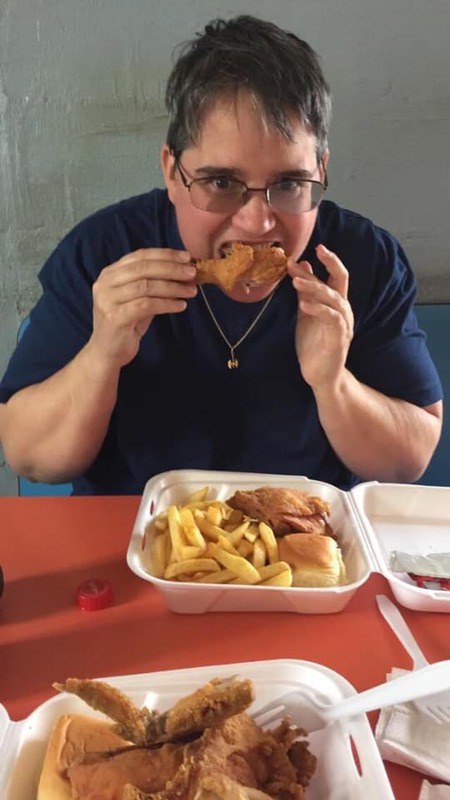 I’m always willing to try fried chicken. I’m so glad we did. Two pieces and fries and a drink for $5. The skin was crispy and the meat was super juicy. They put a seasoned salt on the fries and they were so creamy inside. Super yum! 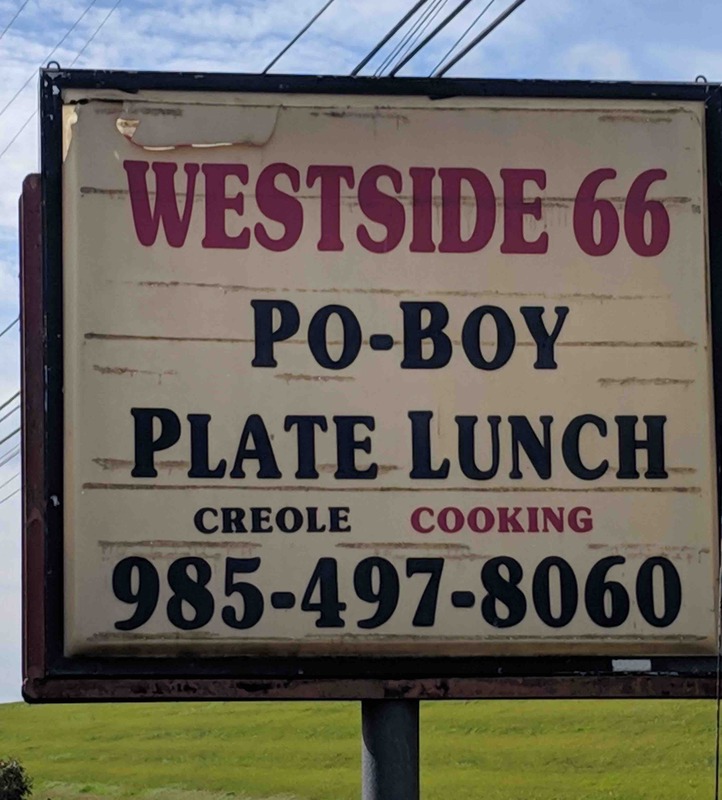 When you are visiting the Westbank plantations, consider stopping in here for a meal that is delicious, filling and very reasonably priced.